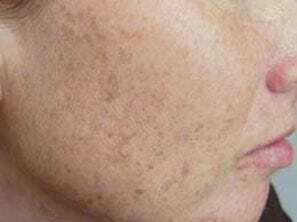 Freckles and sun damage pigmentation respond extremely well to different laser treatments - especially the BBL. 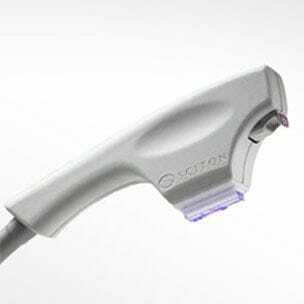 The erbium laser does a great job of removing brown age spots and lentigos. Both these treatments work well together. Definition: Facial skin pigmentation refers to brown marks on the face. 1. Freckles: these are purely sun induced. If you dont go out in the sun, you don't get them. You never see them on someone's bottom. Freckles are more common in pale skin types with blue eyes and red hair. 2. Solar Lentigos: these again are predominantly caused by the sun. They are also known as liver spots and age spots. 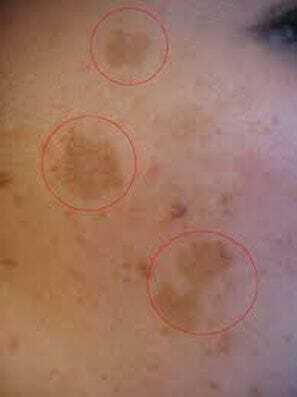 Larger then freckles, they are round blotches of pigment on the skin. Common on the more prominent areas of the face that get more sun, e.g. the cheek areas. Also occur on the back of the hands. 3. Melasma / Chloasma: this is the pigmentation that is both hormonal and sun induced. It is the type that occurs in a blotchy, more diffuse manner with accentuation across the cheek bones and forehead. It also can occur above the lip area. In contrast to lentigos that are more localised and circular, the pattern here is more diffuse and spread out. As hormones are a causative factor, many women find exacerbation of this sort of pigmentation both in pregnancy and with the oral contraceptive pill. Stubborn and tricky to treat it usually requires several different types of treatment to lighten it. Ongoing maintenance therapy is also important, especially sun protection as it has a high risk of returning. 4. Post-inflammatory pigment: this is pigment that occurs as a result of inflammation in the skin (such as after acne, trauma or even some beauty treatments like laser and micro dermabrasion). It is more common in darker skin types who tend to have more active pigment producing cells. 1. Sun protection and sun avoidance. Prevention is better than cure as they say. Sun protection will assist in preventing you from getting freckles or the blotches called solar lentigos. Sun protection also helps with the fading and treatment of melasma. Sun stimulates the pigment producing cells (called melanocytes) to make more pigment. Therefore, it is very important to block the sun, if you are going to treat any sort of pigmentation and also prevent new pigmentation occurring. When choosing a sunscreen make sure you look for ones that contain the physical blockers titanium dioxide and zinc oxide. These block both UVA and UVB rays protecting against ageing, pigmentation and sun cancer caused by the sun. 2. Products that help with exfoliation of the pigment. Pigmentation lightening can be achieved by lifting the pigment out of the skin. Certain ingredients help with this including alpha hydroxy acids (lactic acid, glycolic acid), beta hydroxy acids (salicylic acid), vitamin A in the form of retinoic acid, which are on prescription (eg retin A, retrieve, stieva A). With products that have AHA's, preferably use ones that have concentrations more than 10% AHA's, as studies have shown below this you don't get the results. The NCD Concentrated Clarifier is the perfect AHA / BHA serum to help with the fading of pigmentation. Chemical peels are also helpful in this way by peeling and lifting out the pigment deposited in the skin. 3. Products that block the pigment cells from producing pigment. The pigment cell that produces pigment and spreads it to the surrounding skin cells is called a melanocyte. These cells contain enzymes (tyrosinase is one of the main ones) that are needed to make pigment (melanin). Many lightening creams contain ingredients that block this enzyme and therefore stop pigment production. They only work while you are using the cream. 1. Hydroquinone. Not only a powerful tyrosinase inhibitor, it also suppresses the synthesis of the enzyme as well. It is the gold standard in lightening agents and the most widely used and successful lightening agent for treatment of melasma and post inflammatory pigment. Hydroquinone occurs naturally in many plants, as well as coffee, tea, beer and wine. Hydroquinone can be found in over the counter products in 2% concentrations. The trick to get the best results - dermatologists prescribe hydroquinone in concentrations between 4-8%. The 2% does not work nearly as well, but the lower concentrations can be helpful in maintaining results long term after the stronger concentration has been used for 4 months. As a dermatologist, I like to prescribe the higher concentrations initially for a 4 to 6 month period. Usually, by about 2 months, noticeable results are already visible and patients are happy. It is important to combine with other products, especially a sunscreen and stay out of the sun or the pigment will return!!! Hydroquinone is generally considered safe. In some people it can cause some mild irritation but this is rare. 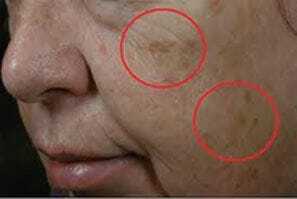 There is a rare condition called exogenous ochronosis, a sooty pigmentation that occurs in the treated area as a reaction to using the hydroquinone. This is rare and is more common in darker complexion individuals who are using high concentrations for prolonged periods of time without a break. Is another lightening ingredient that blocks the enzyme tyrosinase. It is used a lot in Asia in skin lightening products. It is usually more effective when combined with other ingredients, like hydroquinone. Natural Cosmeceuticals for Lightening the skin. Although not as effective as hydroquinone, these agents may help with skin lightening. More research and development is needed though to show that they have the ability to work as well as hydroquinone. Obtained from the root of glycyrrhiza glabra linneva its main active ingredient is glabridin. This is also meant to inhibit Tyrosinase enzyme and therefore stop pigment production. New formulations containing liquorice extract are under development and being researched for treatment of melasma. The skin lightening effect of these ingredients is by inhibiting tyrosinase activity. The biggest problem with this as a lightening agent is its stability. It is a highly unstable molecule that breaks down readily with exposure to air. The more stable form is magnesium L-ascorbic acid 2- phosphate (MAP). Not as good as hydroquinone. Glycolic acid: an alpha hydroxy acid derived from sugar cane. Lactic acid: an alpha hydroxy acid derived from milk. These are important cosmeceuticals that have skin lightening effects. They promote desquamation (exfoliation) of the pigmented skin cells leading to their removal. The pigment is therefore lost more rapidly. Good to combine with hydroquinone. The exfoliation of the outer layers of skin cells also promotes the penetration of the other agents for skin lightening, particularly hydroquinone. This is also known as niacinamide. It has been shown to help pigmentation by inhibiting the transfer of the pigment (the melanosomes) from the pigment producing cell (the melanocyte) to the surrounding skin cells (the keratinocyte). This is a naturally occurring acid that is produced by a yeast in the skin called Pityrosporum ovale. It is usually used in concentrations of 15- 20%. It is also helpful to treat rosacea and acne.